Our administrative staff provides a solid foundation for all the services and events that take place daily at our two campuses. 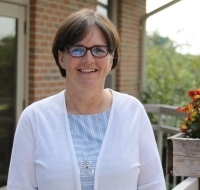 Sister Colleen Ann Nagle, FSE, Director of the Center, has supported the development of each program since its inception. She does this through her work as a counselor. Sister also supports the Center as a whole through fund raising work and administration. See her full bio. Cheryl received both her Master of Management (M.M.) degree and Bachelor of Science in Business Administration from Aquinas College. She also completed a custom executive education program at Thunderbird School of Global Management designed to provide the next generation of Amway executives with tools to lead and manage within the global organization. Marcia Foote graduated from Grand Valley State University with a Bachelor of Arts degree in Elementary Education/Language Arts. 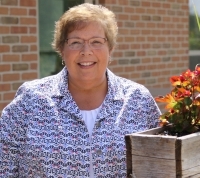 She served as a catechist, director of religious education and a teacher in both public and Catholic schools in Michigan. When you visit the Center in Lowell you can always count on a friendly welcome from Barb Porter at the front desk. She has been a valuable member of the staff at the Center on a full-time basis since January of 2013. Prior to that she worked during the evenings and weekends helping with the bookkeeping at the Center. Her full-time role still includes bookkeeping and payroll, but she also handles event registration. If you need overnight accommodations at the center, she can set that up for you. She has recently taken on the task of mastering our donation software in order to maximize the benefits of this tool. 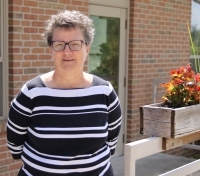 Barb’s late husband was an avid golfer and that passion has been handed down to her two adult sons who are now professionals in the golf industry. Her daughter-in-law is in the golf industry as well, in hospitality. Barb has recently become a proud grandmother to Sophia Rose, who resides in Florida with her parents. Barb is an avid seamstress and quilter and looks forward to attending quilt camp three times per year. She is looking forward to creating some beautiful new quilts for her beautiful new granddaughter! 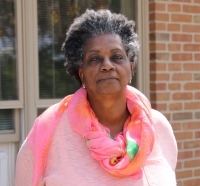 Fredna Rayford taught preschool at the Franciscan Life Process Center, Lowell Campus, and then transitioned to the receptionist position at the Grand Rapids Campus. Ivan Plews joins the staff as the evening receptionist at the Grand Rapids Campus. Ivan is currently a student at Aquinas College, majoring in the field of psychology. Sarah, who received her Bachelor of Arts degree from Davenport University, has over six years of experience working with nonprofits in marketing and event coordination.